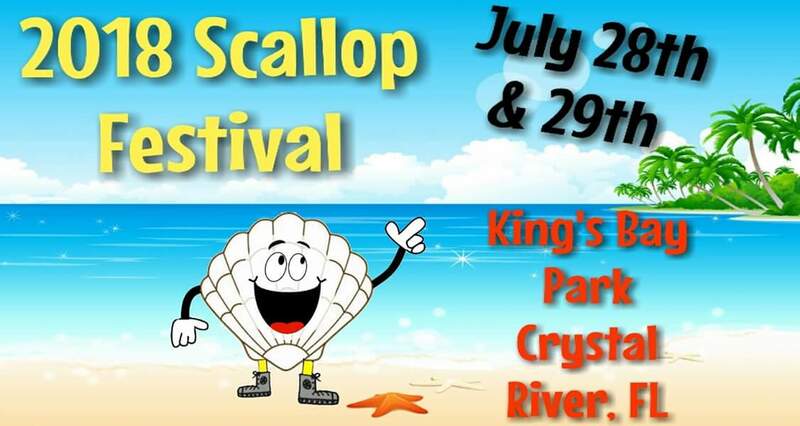 Celebrate summer at Crystal River’s scallop festival. The festival will feature live music, bounce houses, karaoke, beer, arts and crafts, a variety of foods, a scallop cook-off, Battle of the Bands, contests, inflatable slide with water slide, seafood, pony rides, and so much more! July 28, 2018 at 12:00 p.m. – 10:00 p.m.